Figure 1, an April 15, 2013 commercial satellite image from Digital Globe, appears to confirm these paving and asphalting activities. Unlike in previous imagery where the grounds of the site appeared as regular gravel or sand, the latest image shows several different types of surfaces of varying texture and color. 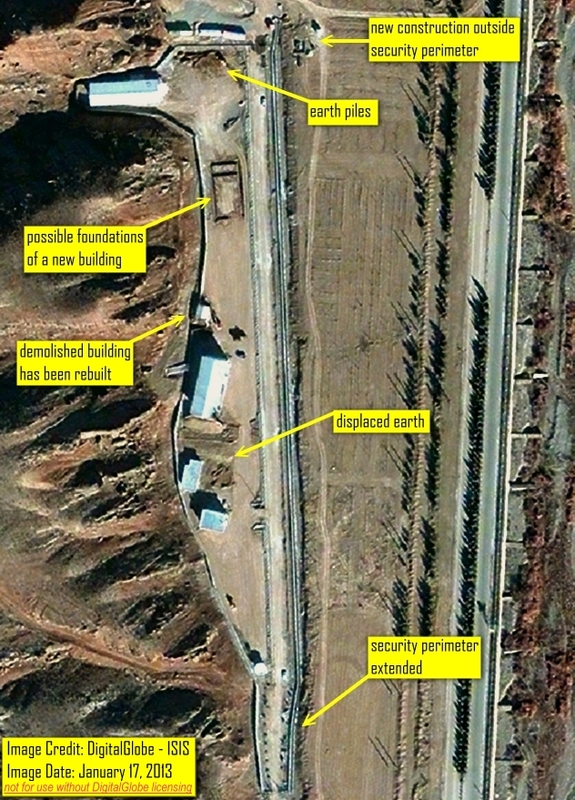 Iran on multiple occasions has refused the IAEA’s legitimate requests for access to this site. Iran may now be attempting to further complicate the taking of environmental samples at the site. By doing so, Iran may seek to further erode the IAEA’s ability to determine whether nuclear weapons development work happened at this site, as IAEA evidence supports. Figure 1. 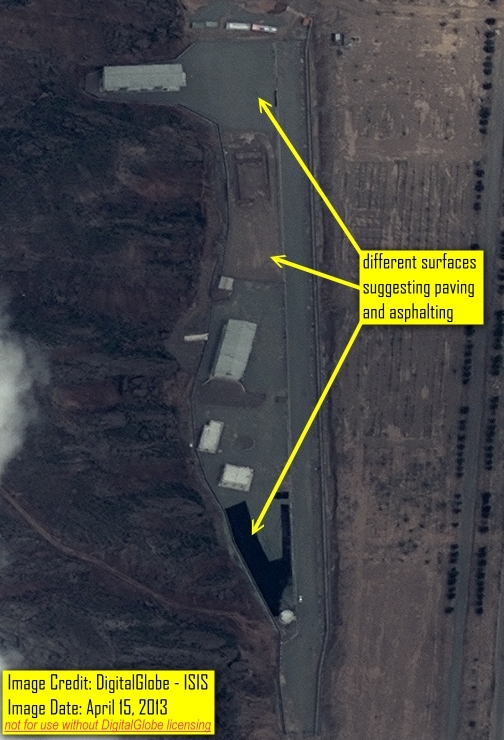 Digital Globe imagery from April 15, 2013 showing what appear to be the initial phases of paving and asphalting activities on the grounds of the Parchin site. Differences can be noted in the indicated surface appearances from Figure 2’s January 2013 image, suggesting different stages of construction. Figure 2. Imagery from January 17, 2013 showing no signs of paving or asphalting. The grounds of the site appear to consist of compacted gravel compared to asphalting seen in figure 1.